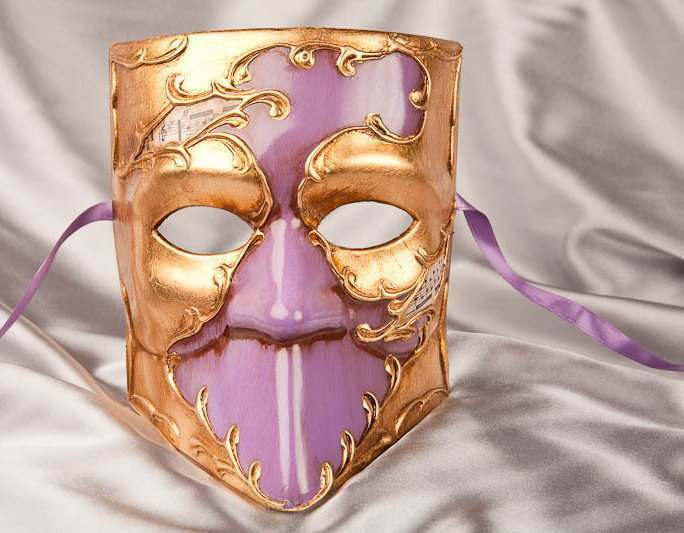 This is the wonderful Daniela Silver Women’s Venetian Mask from Just Posh Masks that has everything a girl could need for glamour, luxury and elegance in an authentically styled masquerade mask. Whether you’re heading to a formal Black Tie Masked Ball, masquerade themed wedding, theatre production or a masquerade costume party, the Daniela Silver will ensure you make a lasting impression. Traditionally known as Daniela Piume, which means ‘plumage or feather’ in Italian, the Daniela Silver is a beautiful half-face feathered Colombina-Giglio mask that has been scalloped to a point to give the effect of an elegant tiara shape that is typical of the Giglio style masks. 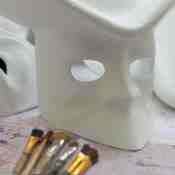 These quality resin masks are ornately decorated with acrylic paints, silver glitter detailing and silver braided edging then finished with a delicate duck feather flower plume to one side. With a choice of coloured glitter and feathers in black, blue, red, white, peach, pink, purple, green, turquoise and cerise pink, the Daniela Silver can add a splash of colour and elegance to your masquerade costume, wherever you’re headed. 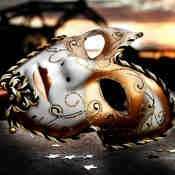 My mask is absolutely gorgeous!!! 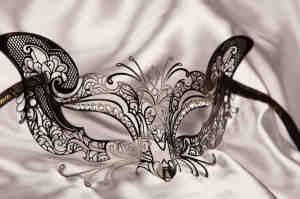 I would highly recommend, I wasn’t to sure to order my mask online for my masquerade ball, because I’m quite fussy. 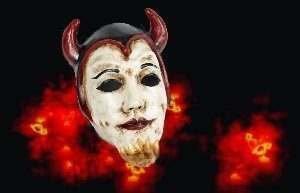 But this mask is worth the money! Very happy with it, didn’t take long to deliver either. Absolutely beautiful. 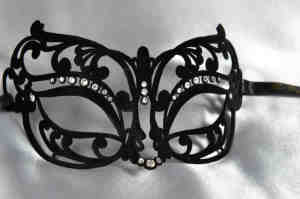 I will be wearing it at the Masquerade Ball on the Queen Elizabeth during the Baltic Cruise. I've never done this kind of thing before so am so excited and know, from the comments of my friends, it will be a blinding success. Thank you Just Posh Masks! I will send a photo!! Just beautiful! Haven't actually worn it yet. 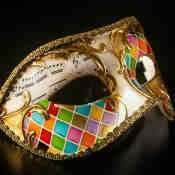 Purchased to take to Venice for the Carnival at the end of the month. Very pleased with my purchase it was exactly as in the photograph , good quality and very pleased with the overall decoration on the mask Looking forward to wearing this . I ordered the white mask and yet it is very silver. The photos should be bigger so you can get a better look at what you're buying. I didn't have time to exchange it so didn't send it back. It is a nice mask but not quite what I thought I had ordered. 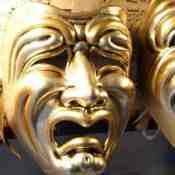 I am delighted with my mask which I plan to wear on a cruise ship. The mask is lovely and looks just like it did in the photo. I'm looking forward to wearing it. The mask is not exactly like the picture which is disappointing but it's still fabulous. It looks nice but the glue that was use to accessorize the mask was visible. 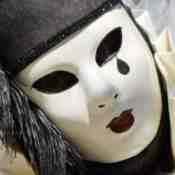 The string that is use to tie the mask started unravelling on the night that I wore it. This was embarrassing...not worth the price I paid for it. Was expecting better quality. 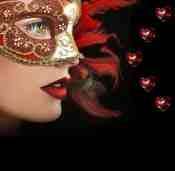 Delighted with the service,,arrived as promised and my mask is absolutely fabulous, the quality is 100% and soooo classy. Hopefully I shall get to wear it more than once!!! Fantastic quality, beautifully made very pleased.